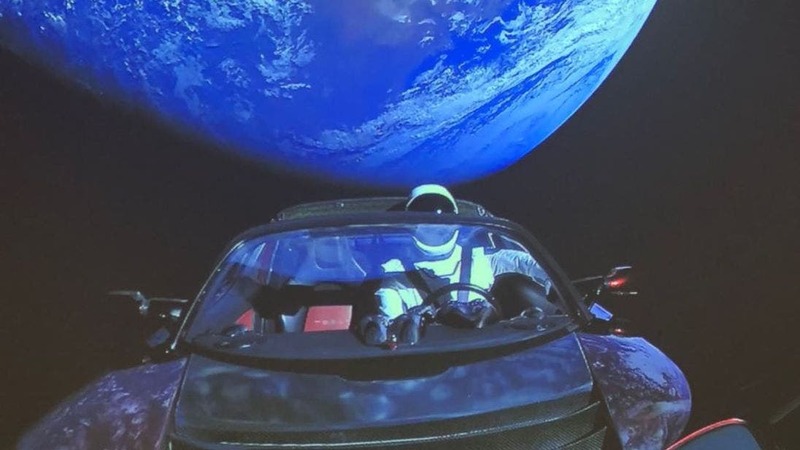 SpaceX founder Elon Musk announced via his Twitter Feed that his cherry-red Tesla Roadster has exceeded Mars and on its way to the Asteroid Belt. This new, iconic satellite of the Sun is hurtling into outer space on an interplanetary trajectory at 12 kilometers per second with David Bowie’s “Space Oddity” pulsing from the radio with the spacesuit-clad “Star Man” dummy in the driver’s seat. 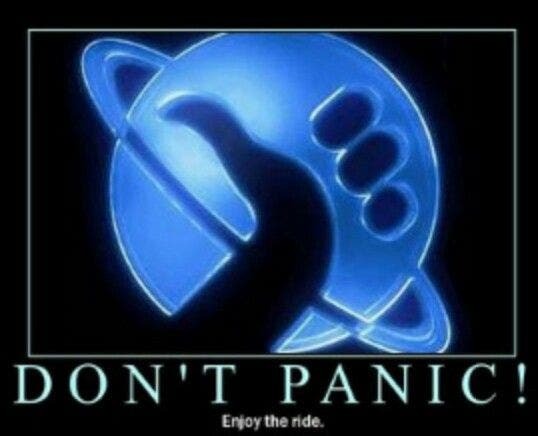 The comforting dashboard display reads “Don’t Panic,” the tagline from Douglas Adams’ Hitchhiker’s Guide to the Galaxy. Lee Billings at Scientific Anerican notes that it is "neither the first car nor even the first electric model ever launched into space (the Apollo-era lunar rovers take both of those prizes)."